On Friday two hashtags lasted on Twitter, almost all day. One was #SeattleSnowpocalypse, and the other was #Snowmageddon2019, all because Seattle, Washington was expecting anywhere from three to eight inches of snow. 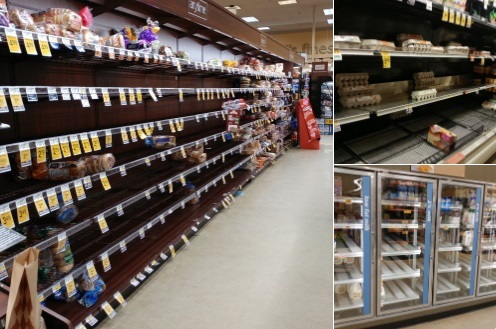 Once again we saw unprepared people, terrified of less than a foot of snow, rush to the grocery stores at the last minute, clearing out the shelves to prepare for "the possibility of being snowed in for a weekend or longer," with image after image of empty store shelves starting to appear almost immediately on social media and chat forums, as well as images of hours long lines at local grocery stores. 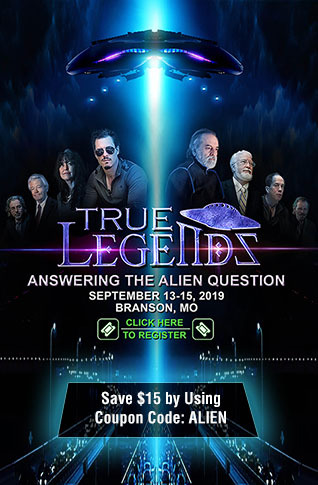 As I saw a link over at Steve Quayle's website on Friday about this, it was his SQ note that really caught my eye. The article he linked to at Seattlepi.com was titled "'Combat shopping': Mayhem at Seattle stores as shoppers clear shelves pre-snow storm," and the SQ Note stated "SQ-MOST EVERYONE TALKS ABOUT PANIC GROCERY SHOPPING, SO FEW EVER CONSIDER RE-SUPPLY LINE INTERRUPTIONS, TAKING EVERYTHING FOR GRANTED." Oh yeah, now that is something I can sink my teeth into because Steve is 100 percent correct. Not only is the focus always on the panic shopping, but those shoppers always assume that after emptying the shelves, all those items that are wiped off the shelves, will magically reappear the next day, but what if the event, whether it is a snowstorm, hurricane, solar event, an attack, loss of electricity, whatever the case, lasts longer than a weekend, a week or even a month? According to multiple sources, including the Valley Food Storage website, grocery stores generally run on a 3-day inventory, meaning they do not have massive stockpiles in the back of their store, just as many shoppers only buy what they need that week, grocery stores work on the same generally time-frame for stocks. Statistics show that the average consumer visits the grocery store 1.6 times a week, meaning most are not fully supplied for even a full week. 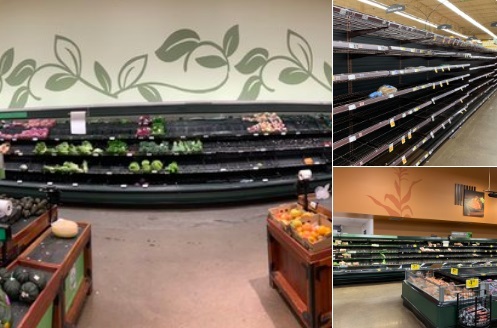 That is one major reason why when an event like the #SeattleSnowpocalypse occurs, grocery store shelves are emptied within hours, and there is nothing left in the back to restock the shelves with. Restocking is dependent on whether the trucks that usually show up each night with the products to keep the shelves stocked, can deliver more products to that particular area. 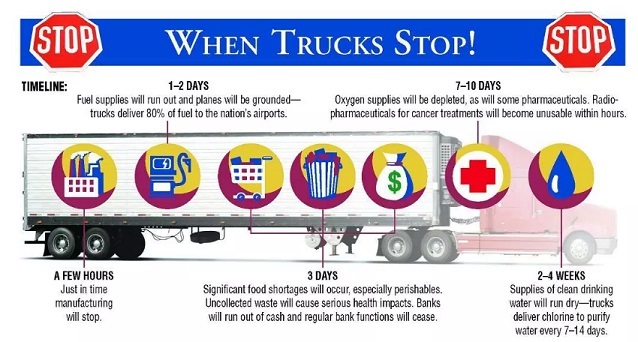 While we have written about what would happen to the country as a whole should the trucks no longer be able to deliver goods across the U.S., or should an EMP attack occur or even a grid down scenario, on a smaller scale, there could simply be towns, entire cities, or if an event was statewide, an entire state that could go days, or weeks without their stores being stocked. Prepping should not just be about "doomsday," although being as prepared as possible for a catastrophic nationwide event, would leave one in a much better position to survive a citywide or statewide event. Another thing highlighted by the Valley Food Storage article link above which caught my eye, given the recent images of empty grocery store shelves in Seattle from Friday, we see the types of items being wiped off the shelves include a lot from the produce section, which in many cases, unless they are being canned, do not have a long shelf-life. Via that article: " Not all food is 'storage' worthy. You can buy a 7 day supply of peaches, but come time to dig into that juicy fruit, you’ll be looking at an inedible furry object." Remember if a loss of electricity comes with the snowstorm, milk, meat and other perishables won't last more than a few days unless one uses the snow outside to keep it cool, and while preppers would instantly go that route, those doing the "panic shopping," most likely won't even think of that. Yet, let's look at some of the images shared by Twitter users that live in Seattle. Eggs, Bread and Milk sections, via Micha:, with the statement "Me yesterday: lol milk can blow me. Me today: MUST GET EGGS AND BREAD AND MILK MILLLLLK." I looked through a number of images on both the #SeattleSnowpocalypse and #Snowmageddon hashtag and what I didn't see much of was empty shelves in the canned good aisles, you know, the foods that would likely last a lot longer should the storm knock out electricity and/or the store not get its deliveries for a few days or even a week or longer. Then we see a piece recommending 17 items to stock up on for the Snowpocalypse, and it seems many consider the possibility of a snowpocalypse to be more of a reason to prepare for a party than to prepare to be snowbound and possibly without electricity. • Seafood: If you love fish, oysters, shrimp, crab, lobster or calamari, it's time to stock up! The first thing that came to my mind is what was missing off the list, such as Sterno or another way to heat food if a major snow or ice event took out the electricity, as it did on Friday for over 148,000 people in Michigan. I also do not see water on the list. The only canned food they recommend is chili, rather than stocking up and canned ... everything! After hurricane Andrew, we went an extended amount of time without electricity and I assure readers the last thing we wanted all our "party" guests eating during that week, was chili. I am sure readers will have their own comments about the list above, but having had to prepare for hurricanes every year when I lived in South Florida for 30 years, I can say with absolute certainty that a storm "party" is for the day/night of the actual storm when offering shelter to friends and family, after that, your perishables are used fast or they go bad when it takes a week or longer to restore electricty, and after that point, it is Sterno and canned goods, and water that keeps you alive. The points here are 1) There is no reason for those empty shelves when simply having food with a long shelf life, be it canned goods, rice, pasta or beans, or freeze dried emergency food supplies, along with a healthy amount of water, can adequately feed people without the panic shopping; and 2) Being prepared ahead of time won't leave you completely starving if the grocery store cannot be restocked in a timely manner. While examples like Seattle should always be highlighted to awaken more people to the reason for preparing for the worst in order to survive a catastrophe, Steve Quayle is right, we should also take those same opportunity to try to teach non-preppers why they should also be thinking about the resupply lines and what would happen if they are interrupted and people had to go weeks without being able to restock their supplies. Too many people simply take it for granted that the grocery stores will be restocked by the time they go back.